Traditionally, Sea Otter and Interbike have been the two bike industry events where companies launch new products. However, in a sign of the growing popularity of the All Things Gravel Expo at the Dirty Kanza in Emporia, several companies chose the outdoor product expo to launch new products this year. One of those companies with something new to show off was Donnelly. 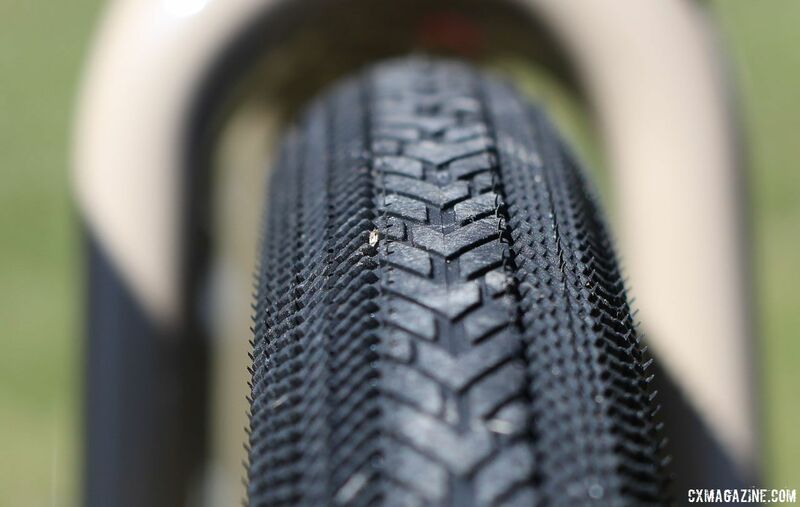 Donnelly is best known for its lines of cyclocross and gravel tires, but this year, it moves into selling bikes after also offering wheels a few years ago. The company showed off its new C//C cyclocross and G//C gravel bikes at the outdoor expo this year. 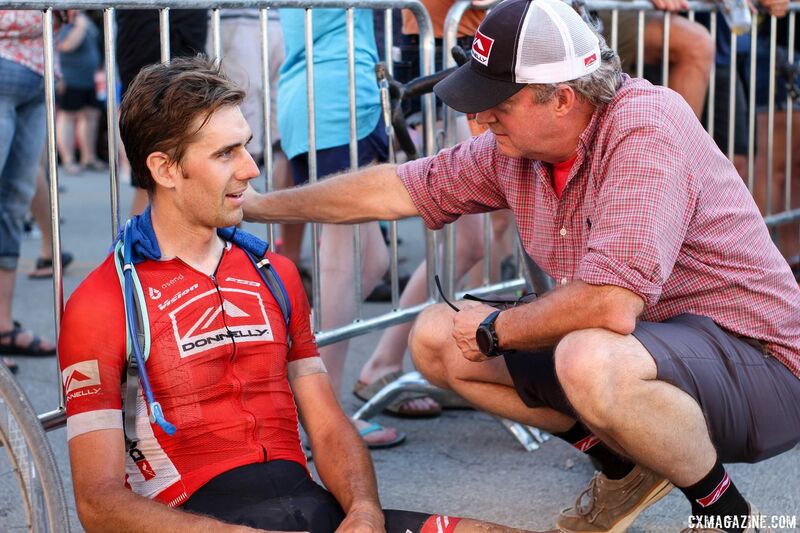 Donnelly sponsored rider Jamey Driscoll rode the new G//C during the Dirty Kanza 200 where he finished 10th against the field of gravel heavy hitters. Driscoll was well-supported by his Donnelly team, with Kellogg, Donnelly head mechanic and team manager James Sullivan, team photographer Meg McMahon and others serving as his pit crew at the three checkpoints. We looked at Donnelly’s new gravel bike on Friday during the All Things Gravel Expo and spoke with Kellogg and Sullivan about the project. Read on for our first look at the company’s venture into the gravel bike market. Donnelly will be sponsoring the Amy D Foundation cyclocross program this year—and went with “Amy D blue” for its cyclocross model color—so stay tuned for a look at the company’s new cyclocross bike. Donnelly offers the G//C with a carbon frame sold as either a frameset or in two SRAM builds. The frame is fully modern, with 12mm thru-axles and flat mount disc brakes. Kellogg said Donnelly was not alone in developing its new line of bikes. Long-time Swiss product manager Rolf Singenberger, who was BMC’s Head of Product Development and R&D director for Eddy Merckx Cycles during its recent rebirth, helped Donnelly develop the new frames. Kellogg also said Whit Johnson of Meriwether Cycles will also be involved with the project moving forward. “The bikes are very dialed for their specific ride characteristics,” Kellogg said about Donnelly’s new bikes. Donnelly claims the G//C has a more endurance-focused build than the C//C frame built for race performance. Large frames for both have the same 72-degree head tube angle, but the G//C has a 103.2cm wheelbase that is 1.4cm longer than the cyclocross frame. This is due in part to the gravel bike’s 1cm longer 43.5cm chain stay. The bottom bracket drop on the gravel frame is 6.7cm, which compares to 6.4cm for the cyclocross frame. The reach on the Large is 38cm and the stack is 58.9cm. Similar to other bikes we have seen recently, the Donnelly G//C has internal cable routing for the fork and frame. The all-carbon fork features flat mount brake and a 12mm thru-axle. Donnelly specs complete builds with either SRAM Force 22 or SRAM Rival 22 groupsets. 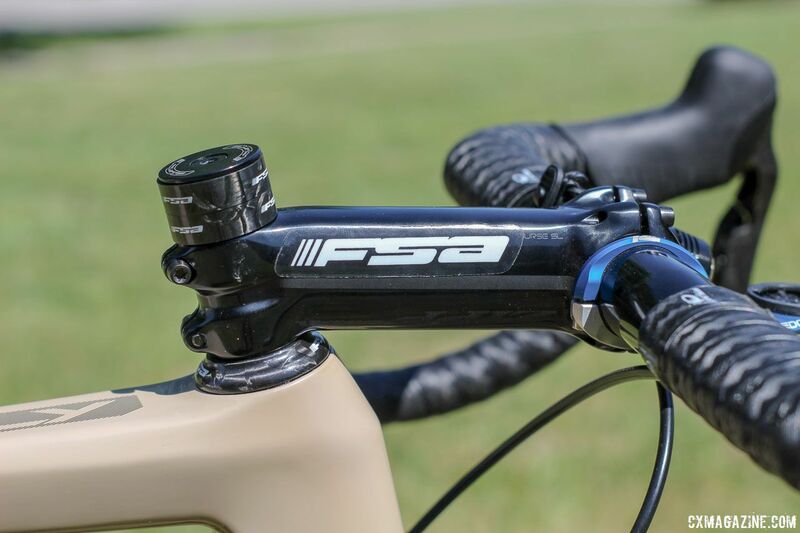 However, similar to his teammate Lance Haidet, Driscoll ran the new FSA K-Force WE electronic groupset. 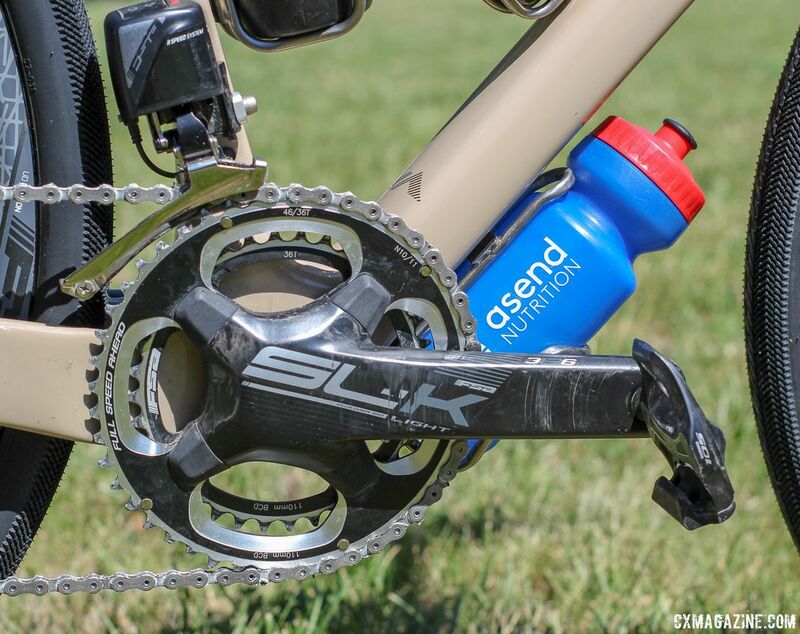 He ran an FSA SL-K crankset with 46/36t chain rings with the K-Force WE front and rear derailleurs. His rear cassette was an Ultegra 11-32t. 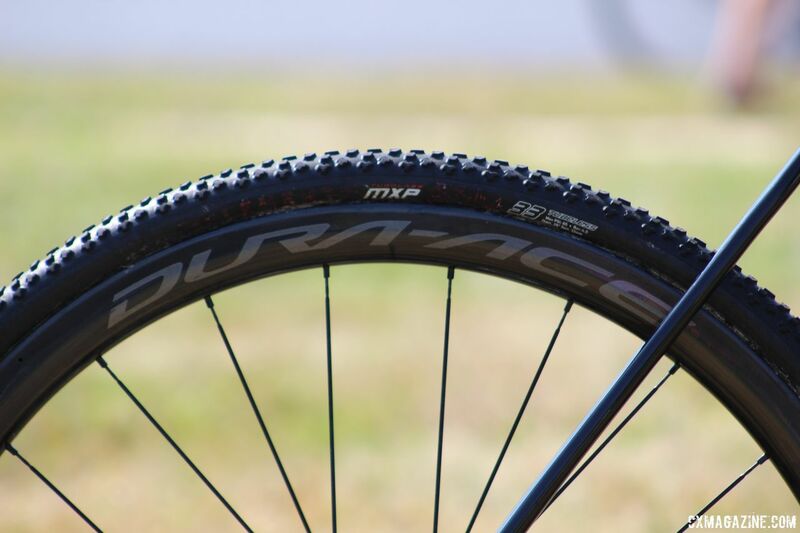 Driscoll ran the new FSA K-Force Light AGX carbon tubeless wheelset we saw at Sea Otter this year. The rims have a 21.5mm-wide internal profile for higher-volume tires and check in at a weight of 1,465g. 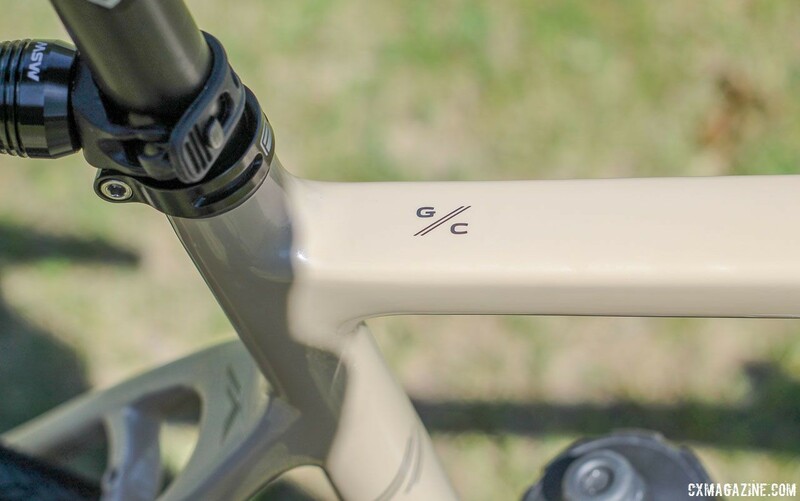 The Donnelly G//C takes the approach of most new gravel bikes with geometry designed for both 700c and 650b wheels. It also has plenty of tire clearance for high-volume gravel grinders with room for up to 700c x 45mm and 650b x 50mm tires. 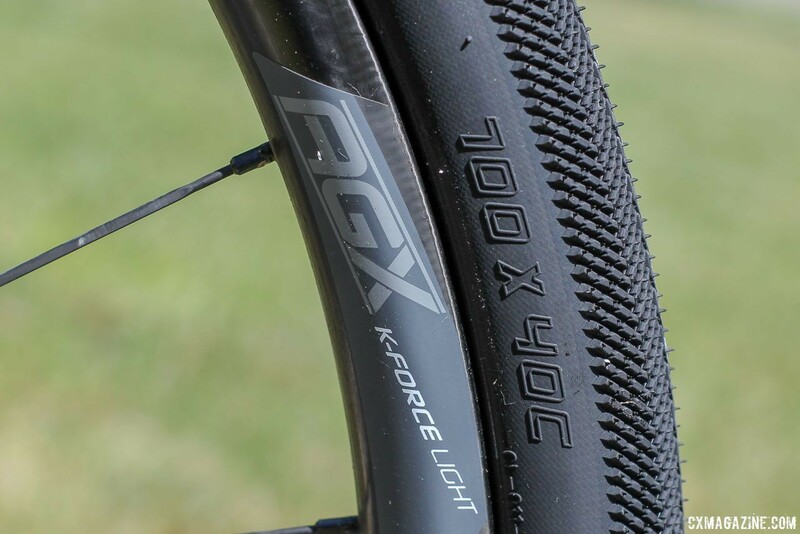 Driscoll opted for 700c x 40mm Strada USH gravel tires to tackle the notorious Kanza gravel. For his cockpit, Driscoll had a bit of an interesting setup. He ran an alloy FSA Energy Impact handlebar with Lizard Skins bar tape. His stem was a Zipp Service Course SL model semi-rebranded as an FSA. An FSA sticker covered the Zipp label on the body of the stem, but the front plate still brands it as a product of the Indiana-based company. We saw a similar thing done during cyclocross season when some riders unbranded their old Clement tires after Donnelly took over the brand. Driscoll ran a Prologo Scratch Pro saddle with titanium rails held by an FSA SL-K seatpost for the long day in the Flint Hills and Shimano 105 PD-5800 SPD-SL road pedals. 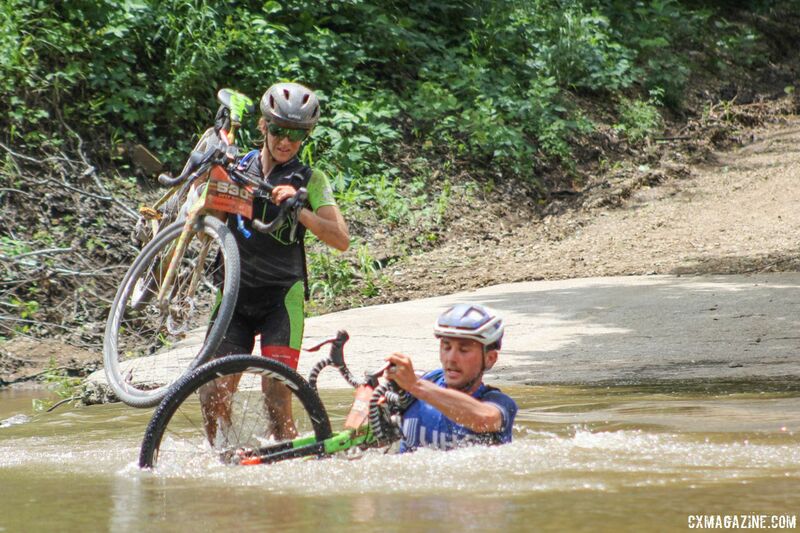 The course avoided the infamous mud pit from 2015 where riders had to trudge through on foot, but road cleats were a decided disadvantage on the slick rocks of the Rocky Ford creek crossing where Luke Keough and others slipped and took a trip to the drink. For his long day of riding, Driscoll equipped his bike with two water bottles in the usual spots and then put a third underneath the down tube using an extra mount Donnelly included. Sullivan said Driscoll filled the third bottle with ice water to douse himself with on the hot afternoon. 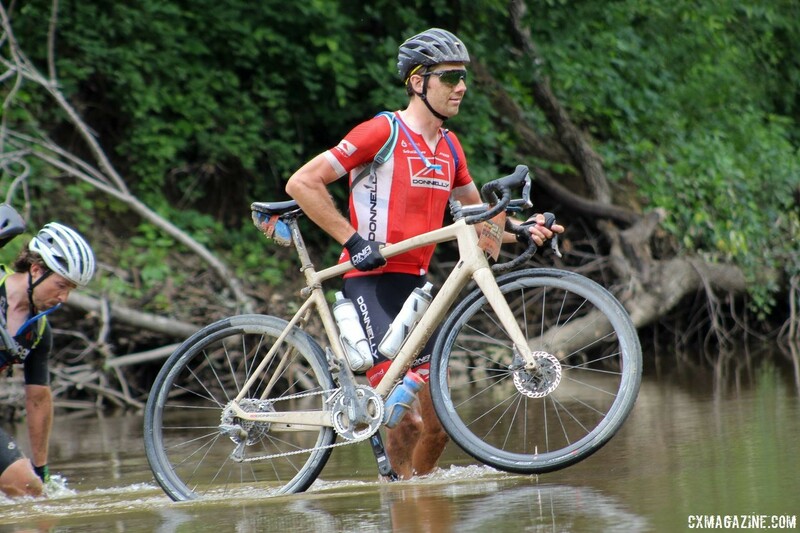 See the photo gallery and specifications below for more on Driscoll’s Donnelly G//C gravel bike from the Dirty Kanza 200. 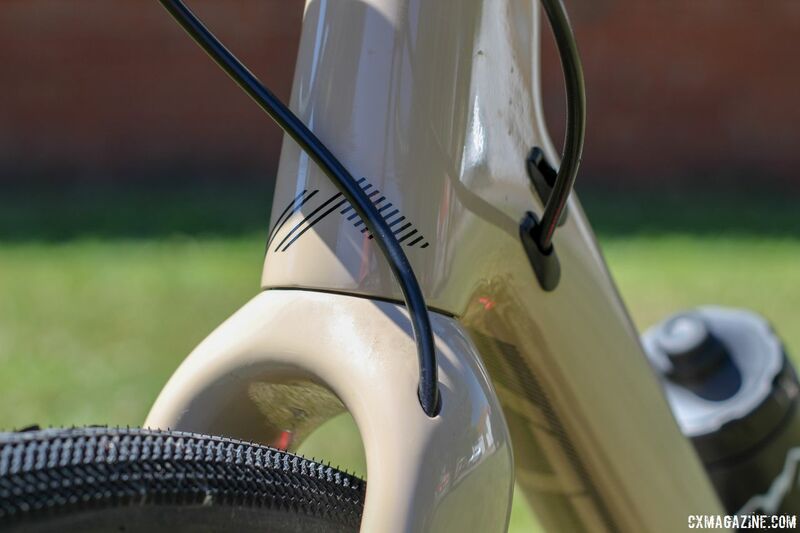 We are hoping to get our hands on Donnelly’s new cyclocross and gravel bikes to put them to the test, so stay tuned for more on the new C//C and G//C. 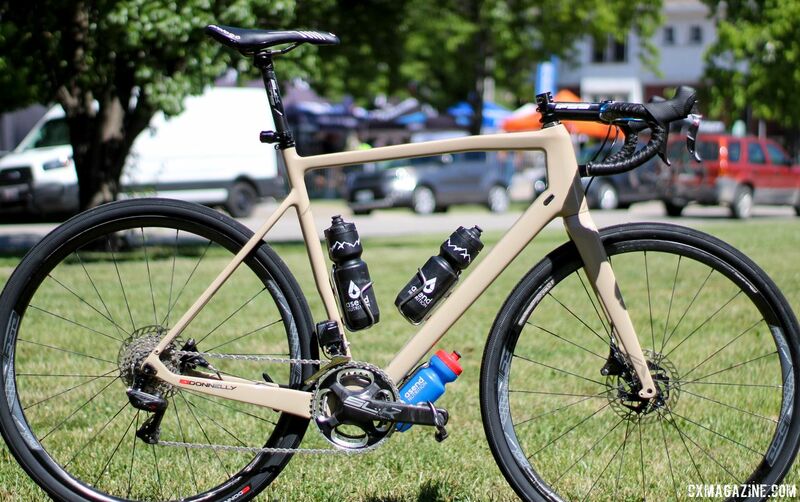 For more bikes from Dirty Kanza and Lost and Found, see our profiles of Olivia Dillon’s Specialized Diverge, Sven Nys’ Trek Checkpoint, Kaitie Keough and Ted King’s Cannondale SuperXes, Tobin Ortenblad’s Santa Cruz Stigmata, Katerina Nash’s Orbea Terra, Craig Richey’s Devinci Hatchet and Rowie Jaron’s NTP Bikes titanium cyclocross/gravel bike. This was a custom build with support of FSA. The complete bike will be initially be available with SRAM Force or Rival. Thanks! Well the specs are labeled as Driscoll’s bike, so then they should list what he rode. As is they are a mishmash, as I don’t suppose you are selling Zipp stems with FSA stickers or FSA WE brakes on your stock bikes.